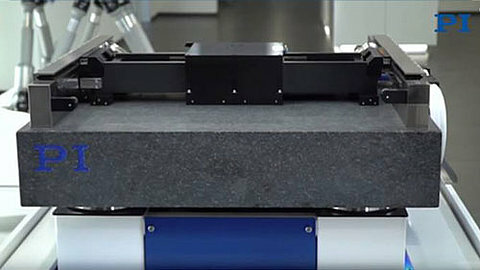 A gantry precision positioning stage is sometimes called a linear robot or Cartesian robot. Gantries typically provide motion in 2 or 3 linear degrees of freedom (X-Y and X-Y-Z) and are often used for pick and place applications, 3D printing or laser machining, and welding applications. These precision motion systems only share the name and general layout with the high load gantry cranes often used in ports for loading and unloading of cargo. The advantage of an overhead gantry motion system is its ability to cover a relatively large work area on a relatively small footprint. 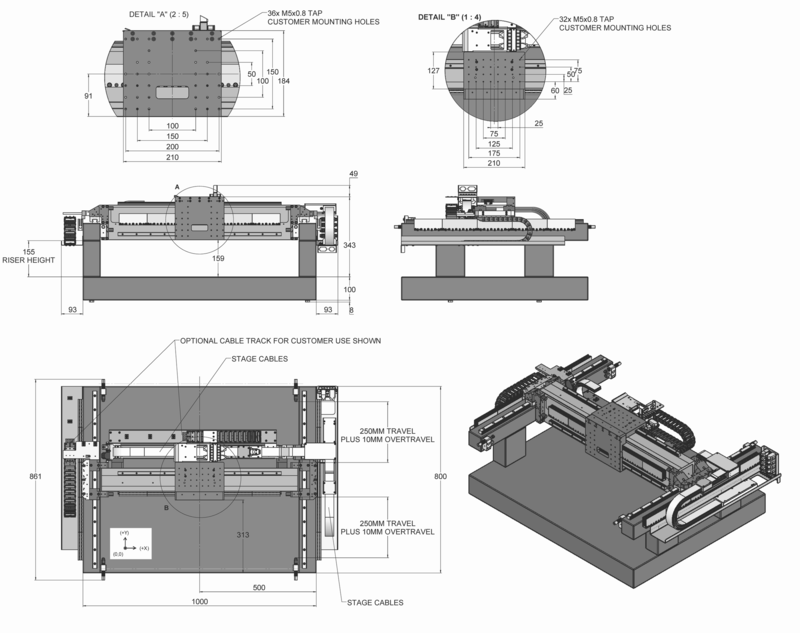 Gantries often include a manipulator / gripper mounted on a vertical axis. 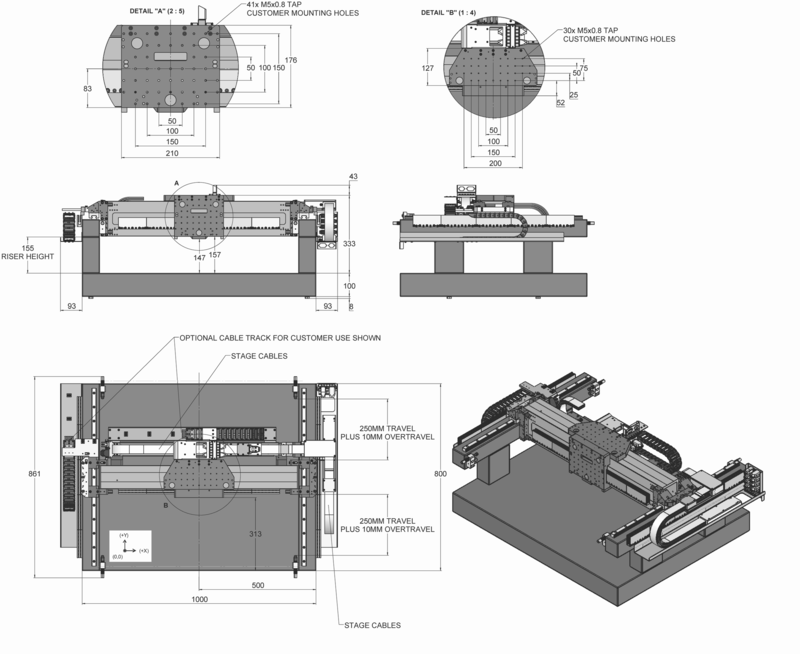 PI offers several standard and custom Gantry designs, adapted for different applications, from mechanical bearings and hybrid systems to all air bearing designs, all equipped with linear motors and absolute measuring linear encoders. 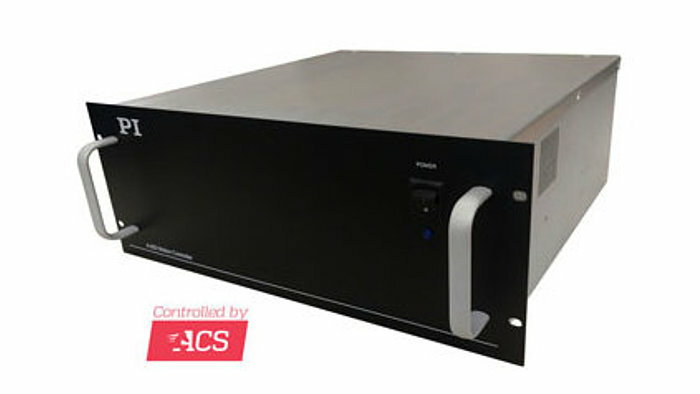 High-end PI gantry stages can provide nanometer resolution and excellent repeatability, together with high throughput. Air bearings provide frictionless, wear- and maintenance-free motion without particle generation – important for photonics, optics, and semiconductor applications. 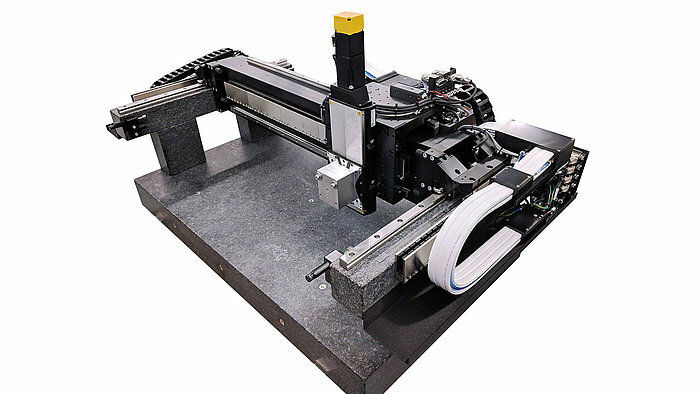 Several options are available including the integration of Z-positioning stages (both screw-driven and linear motor-driven), mounting holes for scanners, cameras, lasers, or customer specified tooling. 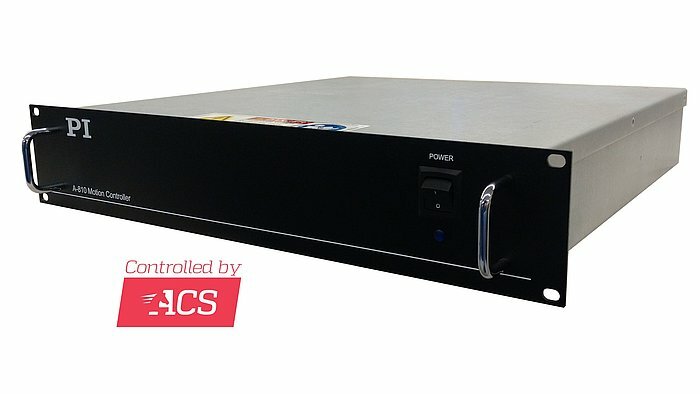 PI recommends ACS-based, EtherCat® compatible motion controllers such as the A-824. 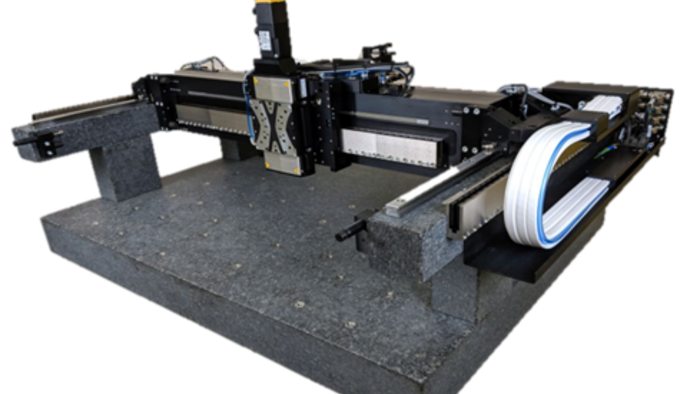 Special gantry control algorithms improve both accuracy and throughput. 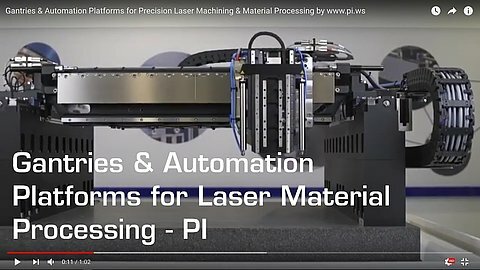 PI Gantries and precision multi-axis motion systems for laser material processing. 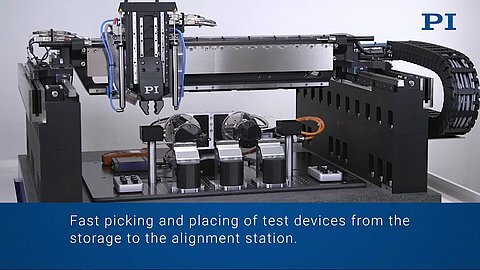 Combining hexapod 6-Axis motion platforms, gantries and fast alignment algorithms allows for higher throughput in fiber array alignment and other photonics test and manufacturing processes. 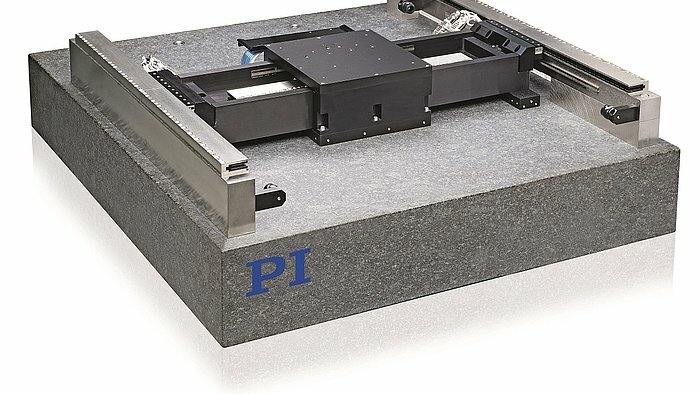 PI's A-341 hybrid Gantry System for 3-D printing, laser processing with software is explained at Photonics West. 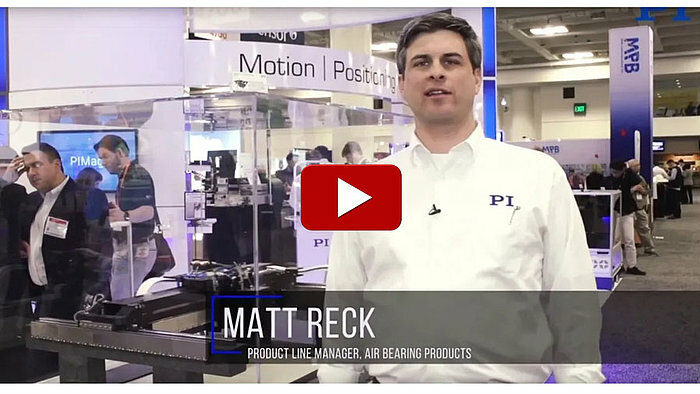 Video: How Do Air Bearings Work? 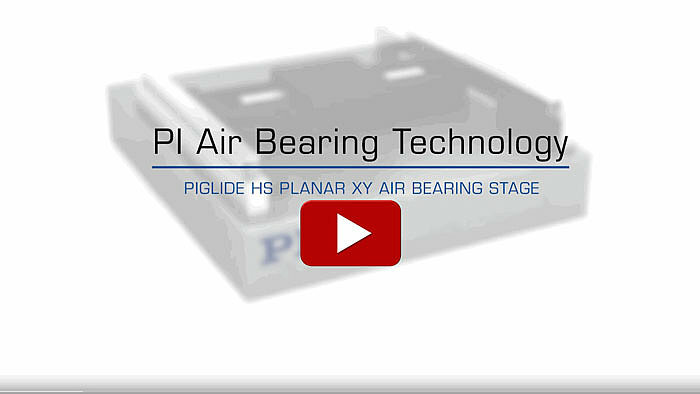 PI's Gantry-Type Air Bearing Stages, together with ACS motion controllers provide exceptional accuracy & geometric performance.